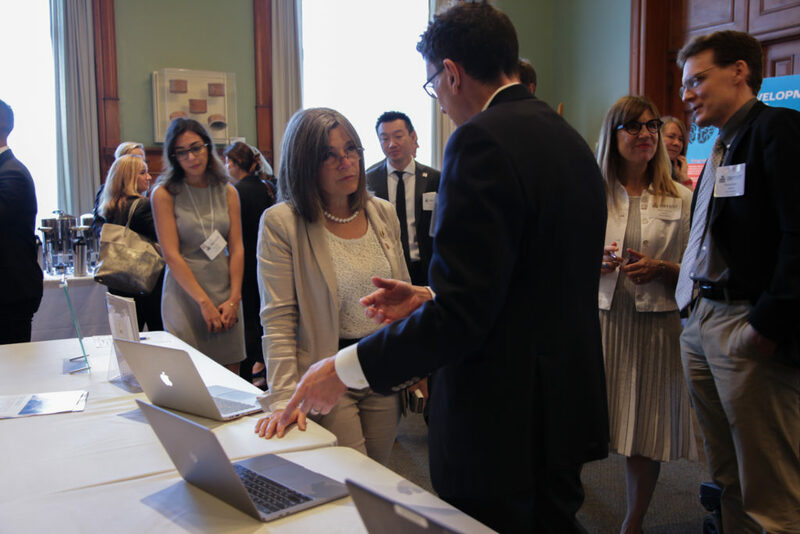 The Ontario Brain Institute (OBI) held “Meet Ontario’s Brain Power” at Queen’s Park on Monday, September 11, 2017. 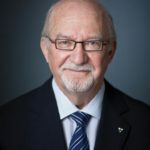 The event highlighted OBI’s work across the province that has positioned Ontario as a world leader in brain research, commercialization and care. 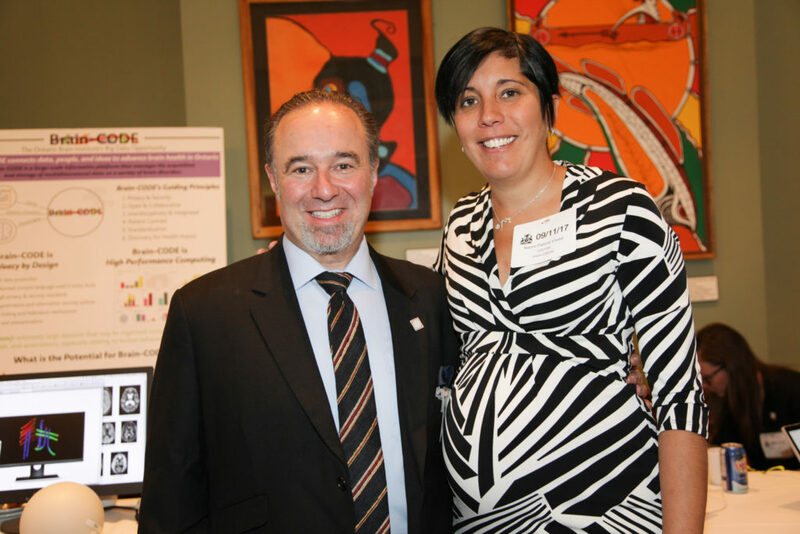 More than 60 researchers, companies and patient representatives demonstrated community and economic impacts. Below are a few photos from the day. The Hon. 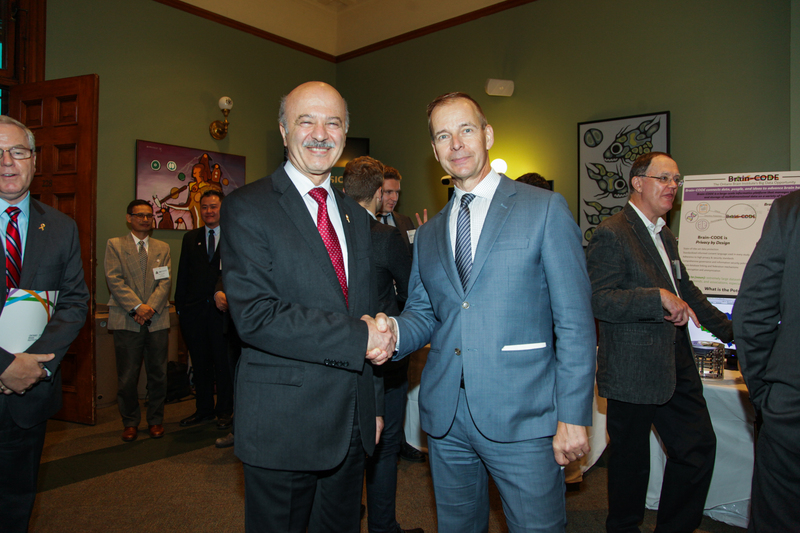 Reza Moridi, Minister of Research Innovation and Science celebrates Ontario’s brain power with OBI President and Scientific Director Dr. Tom Mikkelsen. The Hon. 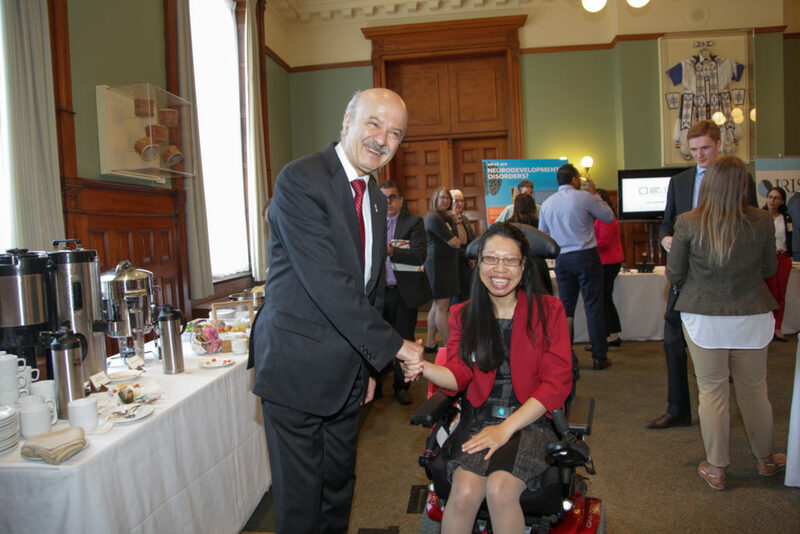 Reza Moridi meeting with Crystal Chin, an OBI patient advisor. 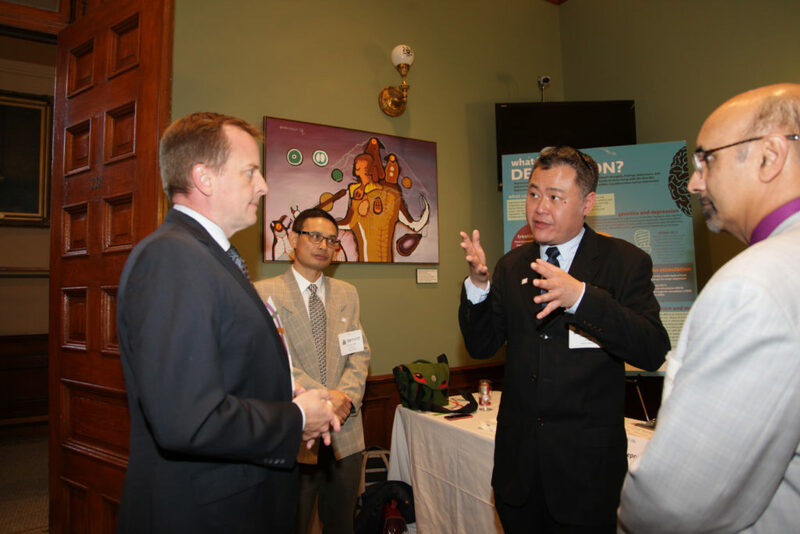 Andrew Kcomt, an OBI community advisor for from the Mood Disorders Association of Ontario, talks about OBI’s depression research program with MPP Jeff Yurek. 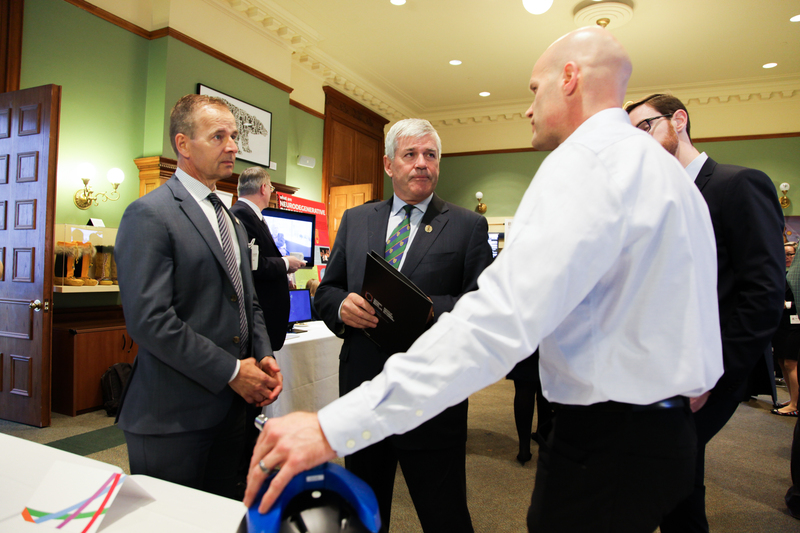 OBI ONtrepreneur Dr. Theo Versteegh discusses his concussion prevention innovation with MPP Arthur Potts and OBI President Dr. Tom Mikkelsen. 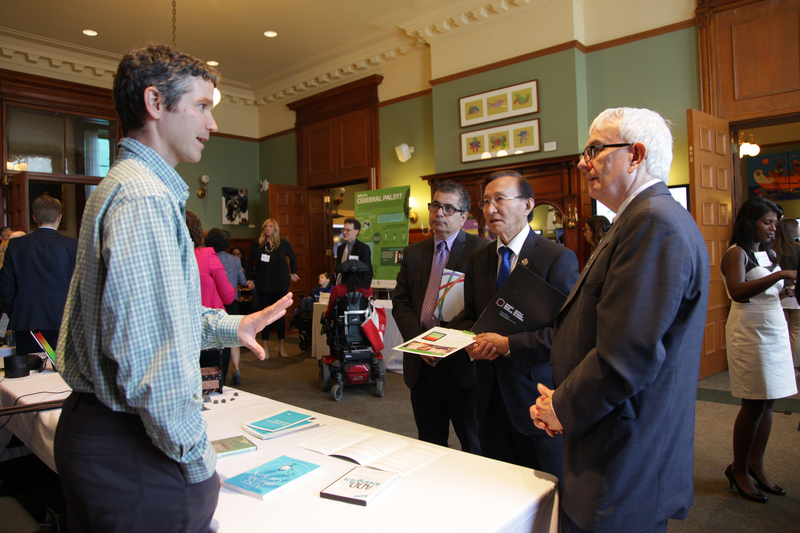 OBI researcher Dr. Steven Miller discusses his research on cerebral palsy with MPP Sophie Kiwala. 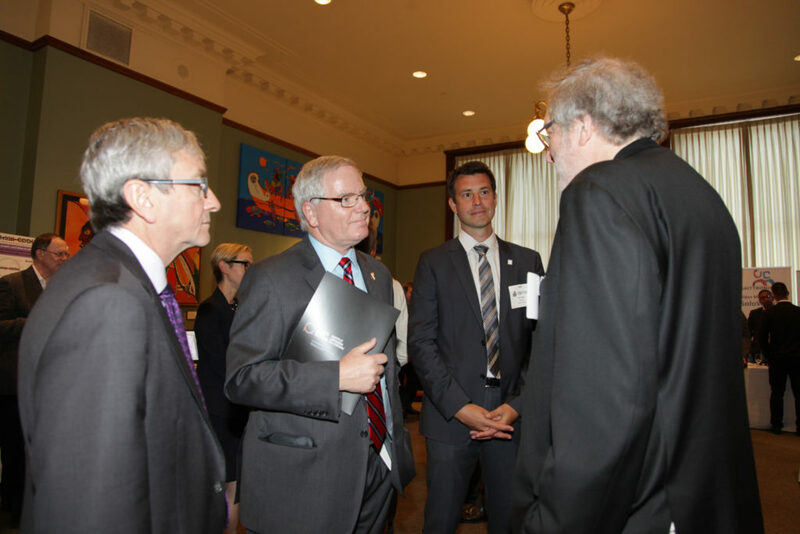 Alzheimer’s Disease researcher Dr. Barry Greenberg talks with MPP Jim McDonell and OBI Board member Michael Horgan. 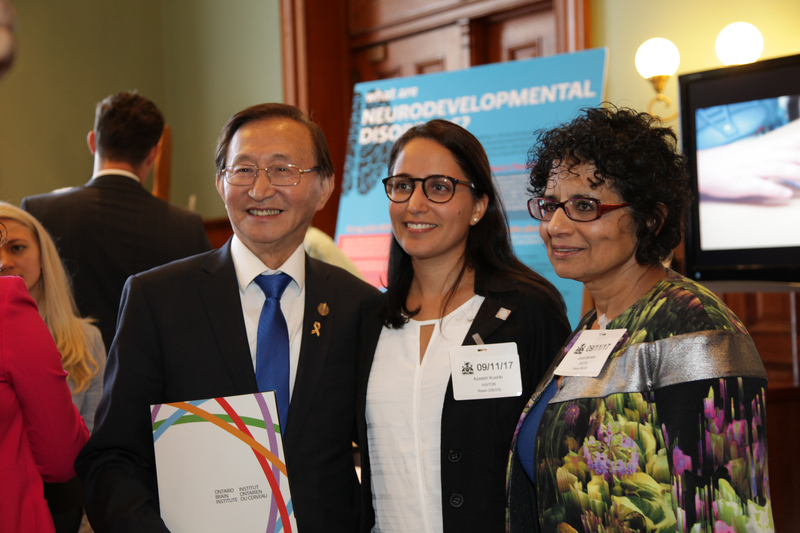 MPP Raymond Cho meets autism researcher Dr. Azadeh Kushki and OBI Board member Joyce Barretto. 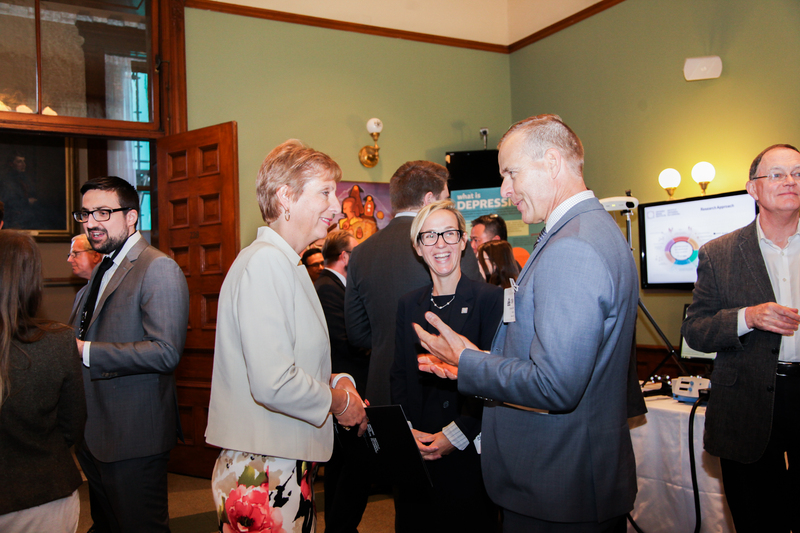 MPP France Gelinas talks with OBI President Dr. Tom Mikkelsen. 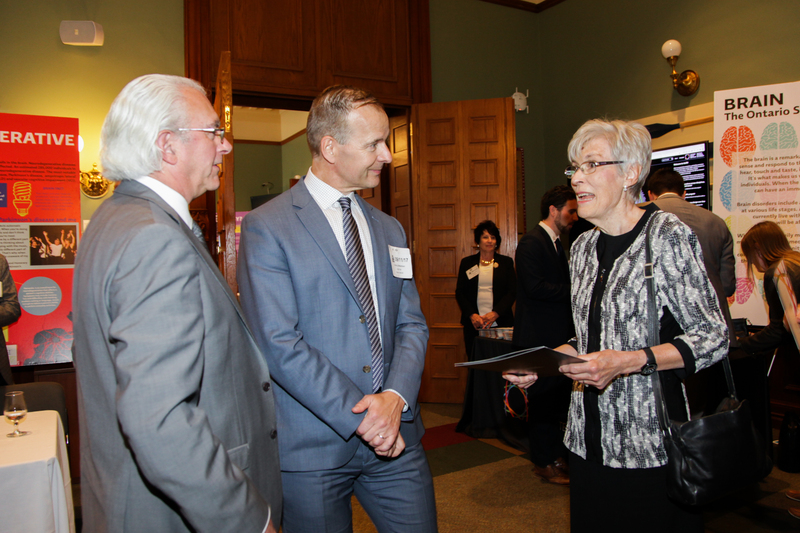 MPP Julia Munro speaks with OBI President Dr. Tom Mikkelsen and Senior Vice President John Clarkson. 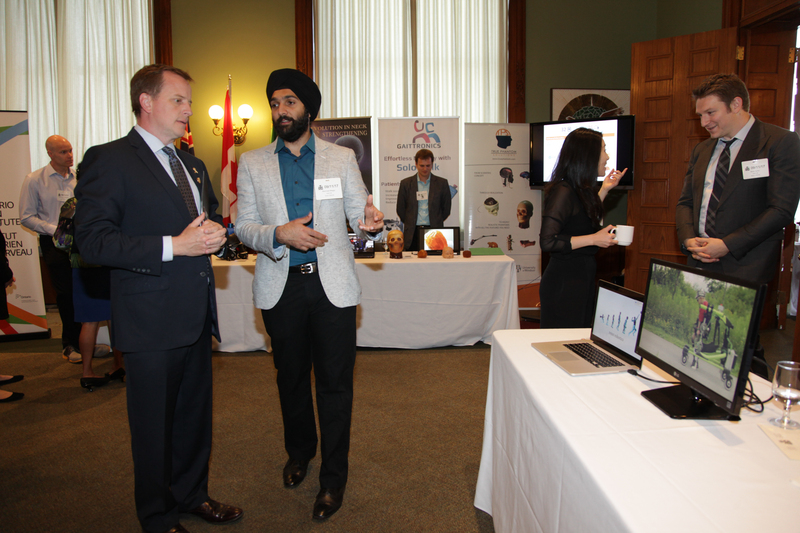 Manmeet Maggu, CEO of Trexo Robotics, explains his robot-assitive device for cerebral palsy to MPP Jeff Yurek. Dr. Jonathan Downar demonstrates the TMS (Transcranial Magnetic Stimulation) device he uses to help treat depression. 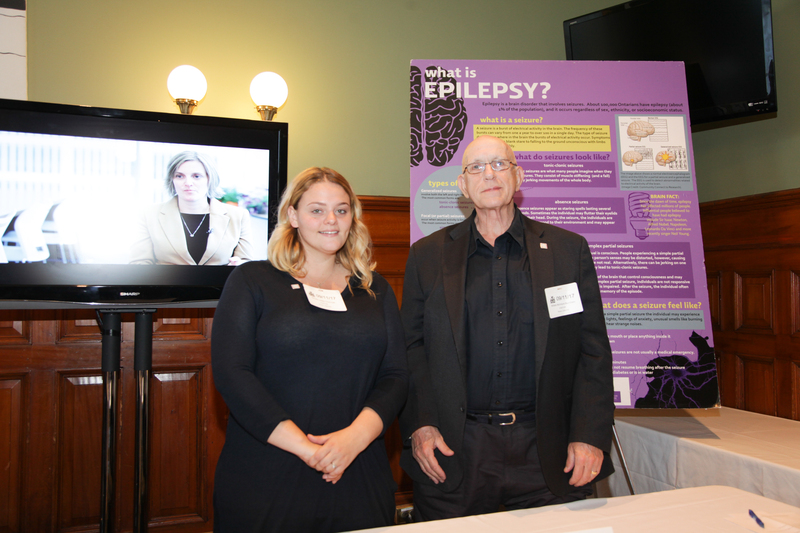 Nicola Cherniak from Epilepsy Support Centre London meets Dr. McIntyre Burnham, lead invesigator of OBI’s epilepsy research program. Researchers and community advisors with OBI’s depression research program meet MPP Teresa Armstrong. 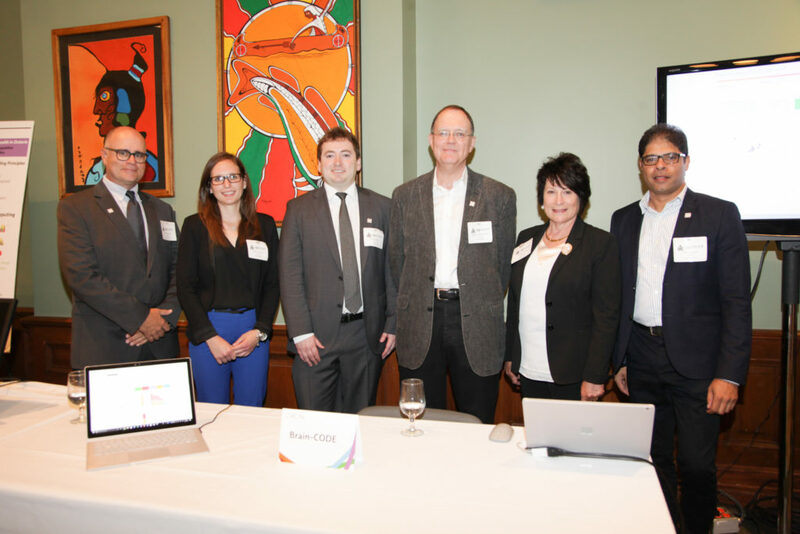 Left to right: Lucie Langford, Teresa Armstrong, Dr. Gerald McKinley, Andrew Kcomt and Dr. Sagar Parikh. Researchers and entrepreneurs at the concussion research area. Left to right: Dr. Charles Tator, Conor Ross, Colin Harding, Katherine Wilson, Dr. Andrew Baker and Dr. Nick Reed. Researchers and patient advocates at the neurodevelopmental disorder research area. Left to right: Dr. Evdokia Anagnostou, Dr. Jennifer Crosbie, Marg Spoelstra, Dr. Jason Lerch and Dr. Azadeh Kushki. 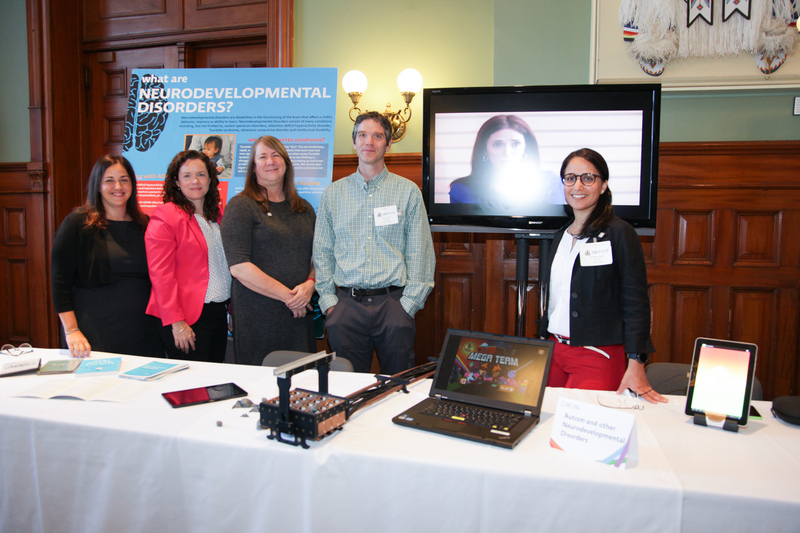 Researchers and staff showcasing Brain-CODE: OBI’s data analytics platform. 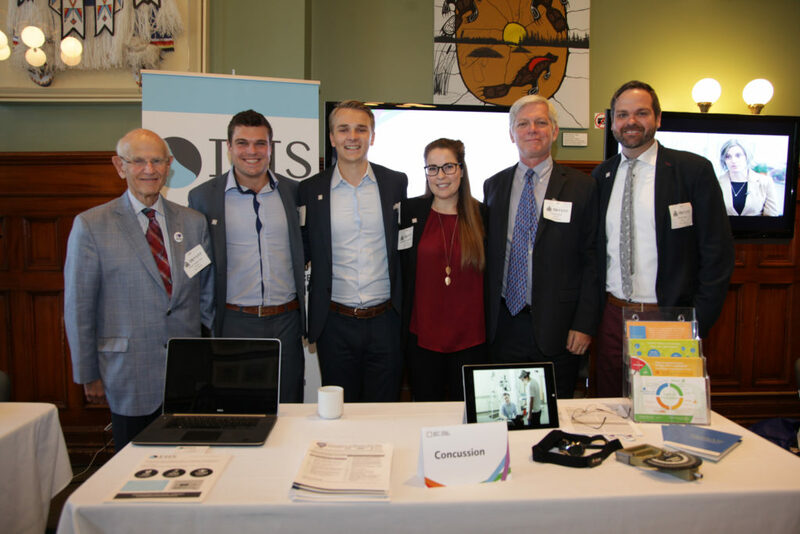 Left to right: Dr. Ken Evans, Shannon Lefaivre, Dr. Brendan Behan, Dr. Stephen Strother, Dr. Elizabeth Theriault and Moyez Dharsee. 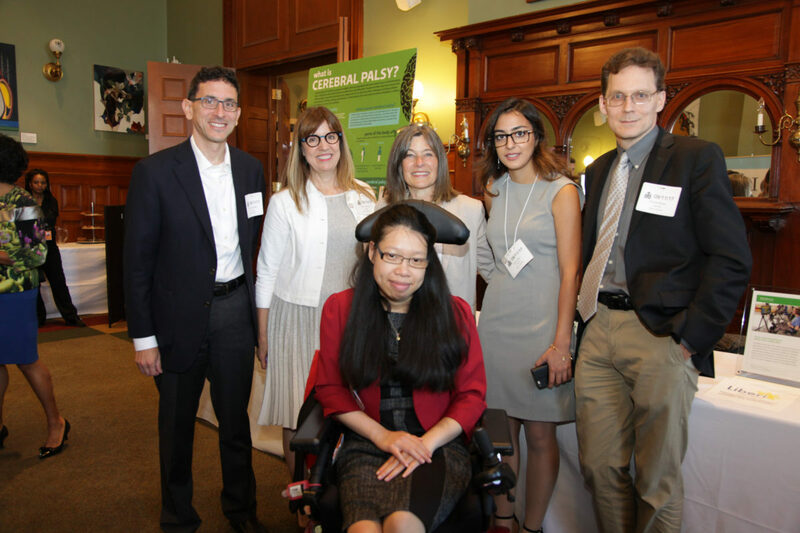 Researchers, entrepreneurs, and patient advisors from OBI’s cerebral palsy research program get a visit from MPP Sophie Kiwala. 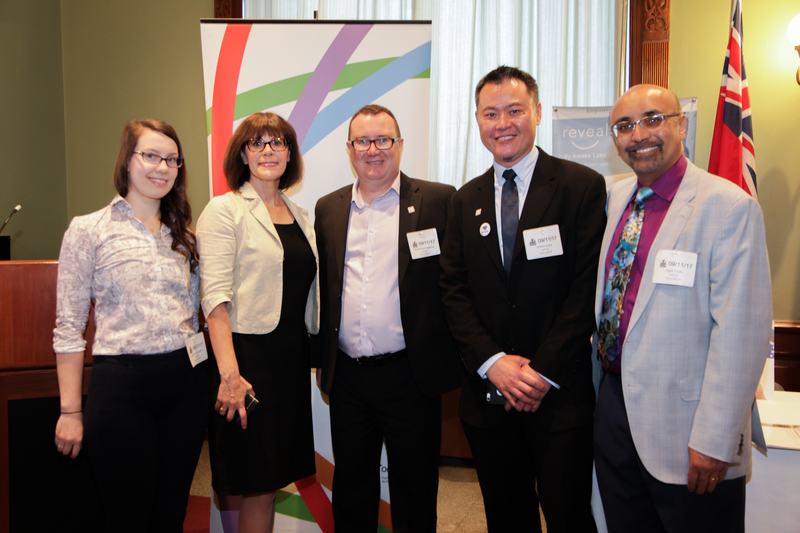 Left to right: Dr. Steven Miller, Dr. Darcy Fehlings, Crystal Chin, Sophie Kiwala, Flora Nasri and Dr. Richard Wintle. MPP Ramond Cho talking with researcher Dr. Jason Lerch and patient advocate Rick Green. 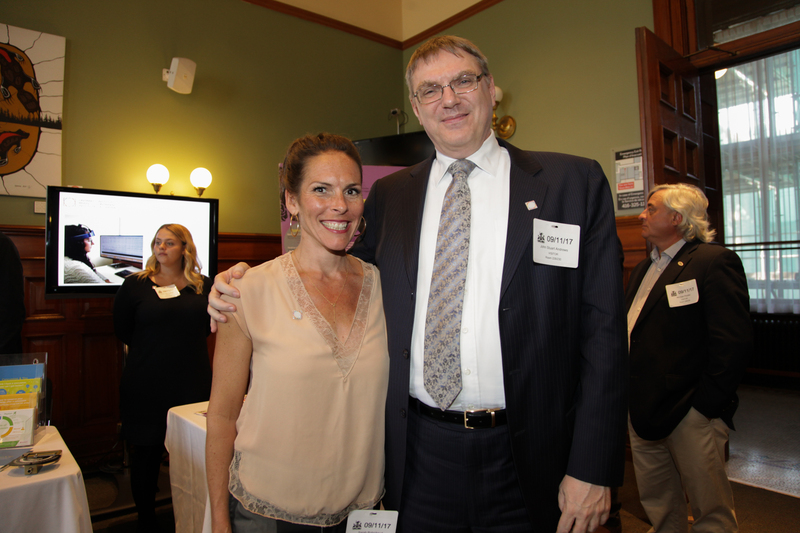 Sarah Robichaud, founder of Dancing with Parkinson’s, meets Dr. John Andrews, a member of OBI’s Industry Advisory Council. 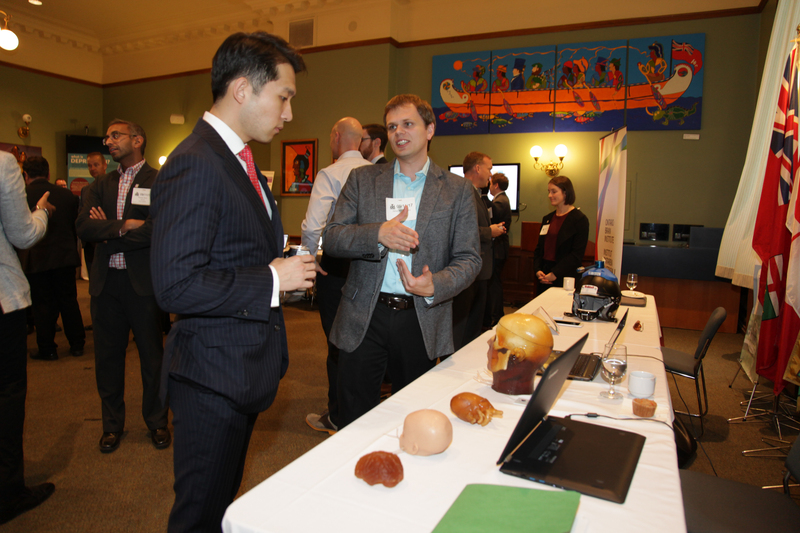 OBI ONtrepreneur Adrian Wydra showcases his synthetic models of the brain. Jonathan Rezek and Dr. Naomi Visanji talk about her Parkinson’s Disease research using IBM Watson. 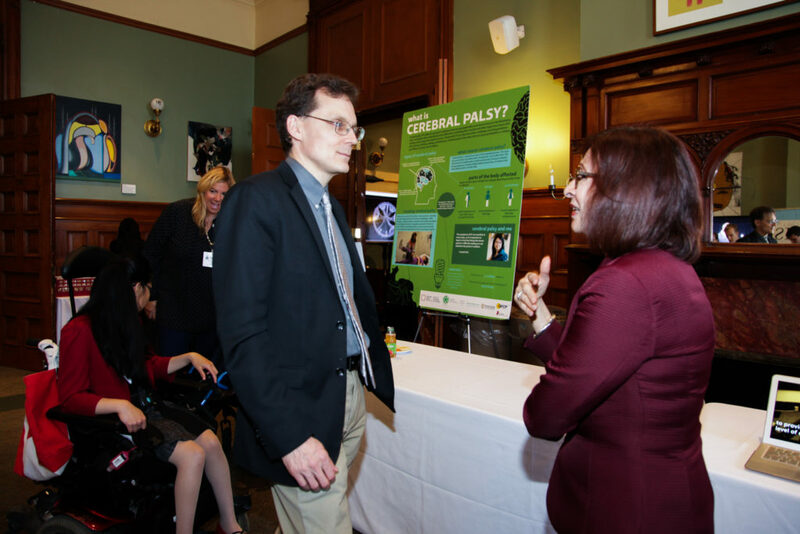 Dr. Richard Wintle talks about his cerebral palsy research with Brain-CODE advisor Dr. Ann Cavoukian. Sarah Robichaud and Dr. Ekaterina Rogaeva talk about neurodegenerative diseases with depression researcher Dr. Xiao-Yan Wen. 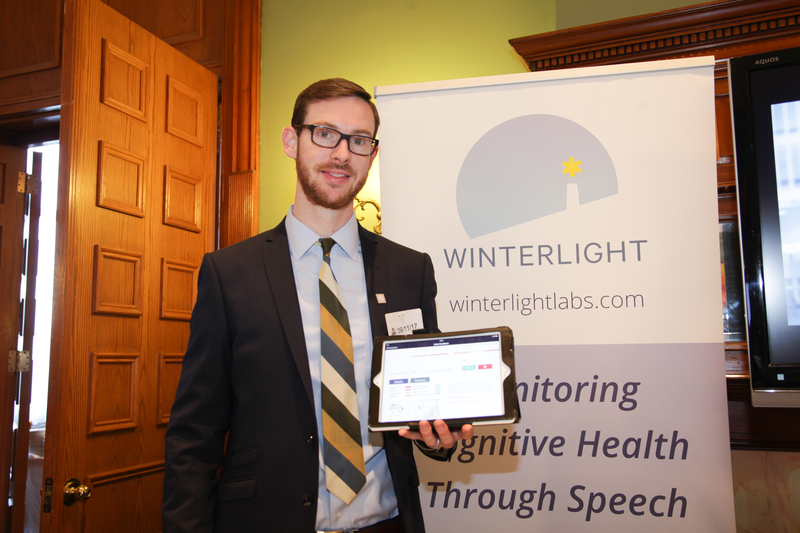 OBI ONtrepreneur Dr. Liam Kaufmann showcases his innovation for dementia screening using artificial intelligence. 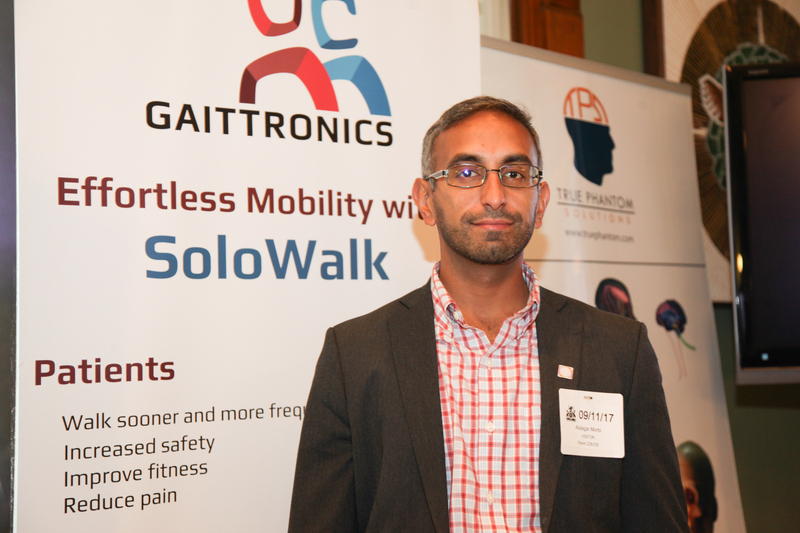 OBI ONtrepreneur Dr. Aliasgar Morbi showcases his robotic device to help kids with cerebral palsy walk. 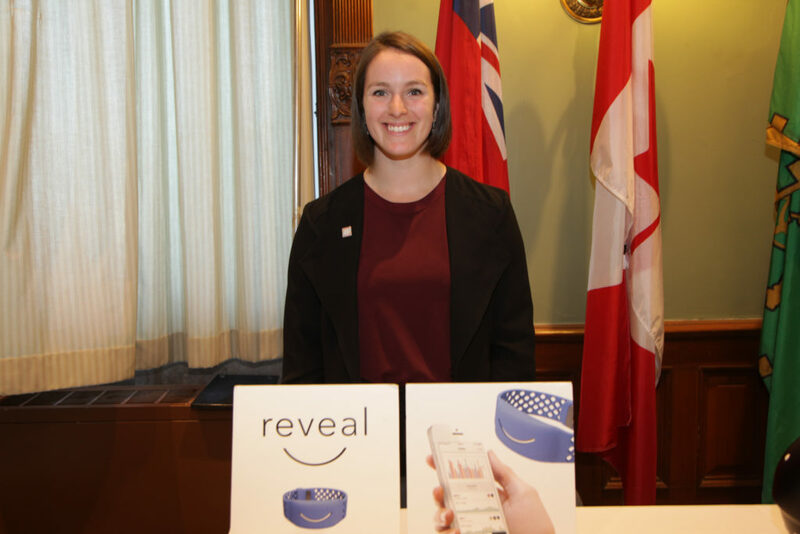 OBI ONtrepreneur Andrea Palmer showcases her innovation for measuring anxiety in people with autism.